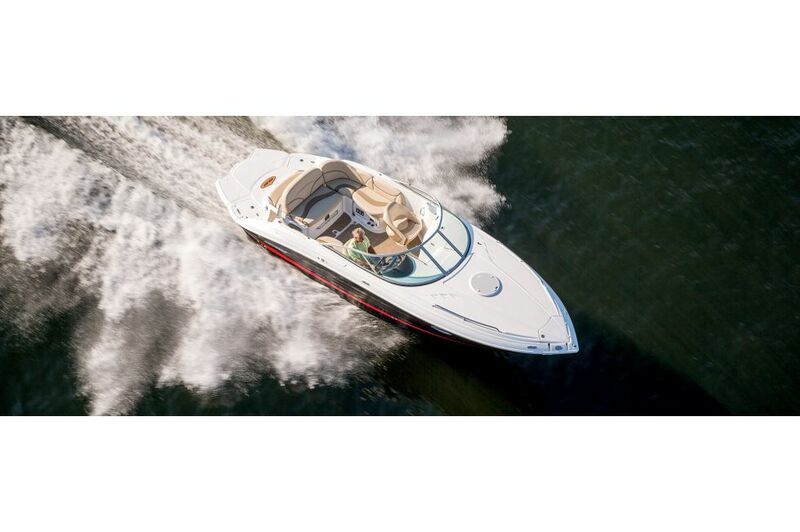 Treat all of your VIP's to high-class living on the high seas with the 279 Sport Cuddy. 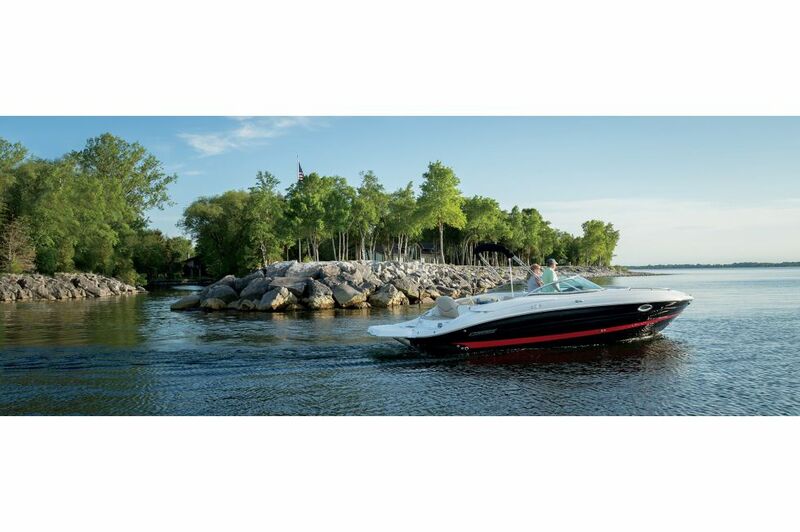 Never miss a moment of action, whether you're in the boat or riding the wake behind it! With luxury amenities such as a roomy above-deck area and cozy, spacious cabin, and a built-in head, you can spend more time on the water and soaking up the sun. 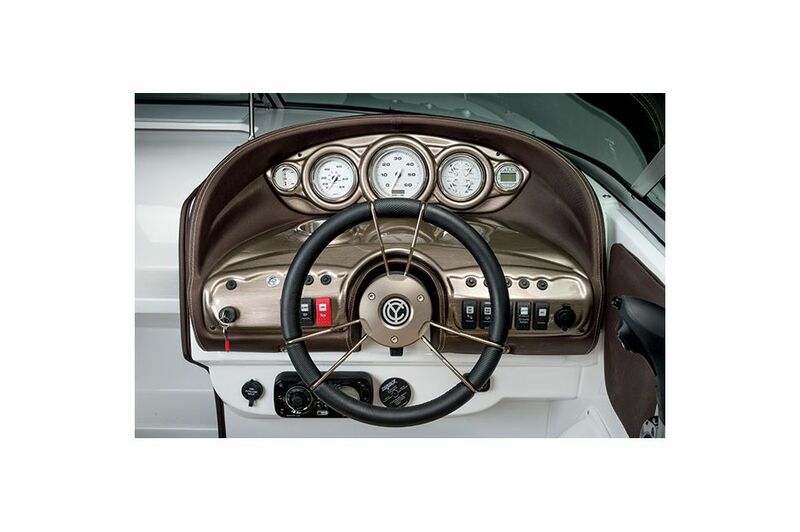 Take control of your journey at hub of the 279 Sport Cuddy, the helm. This intuitive control panel was designed to get you where you're going, even if you have nowhere special in mind. It's always good be the Captain of the ship, but it's never been this comfortable. 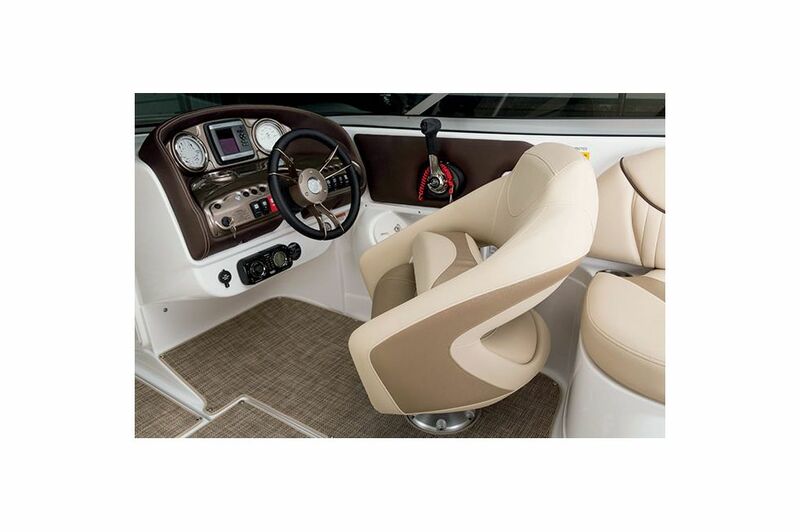 The 279 Sport Cuddy's Captain's Seat ensures you'll stay comfortable all day on the water. 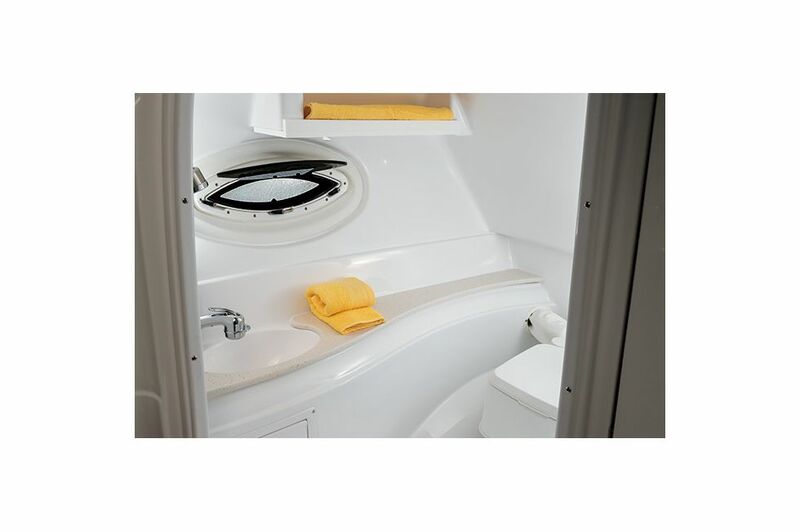 Settle in for a few drinks or some great conversation with guests in the 279 Sport Cuddy's cabin area. Get cozy on the plush seating around the convertible table or add an extra sectional for an extra sleeping space. This is the perfect space to relax and unwind. Sometimes the best way to enjoy your boat is by jumping off of it into the water! 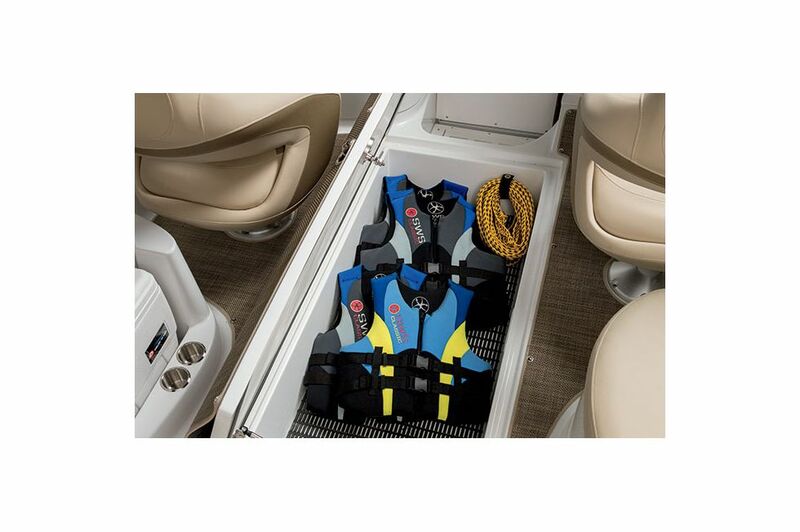 The 279 Sport Cuddy comes equipped with an easy-access swim platform on the back. 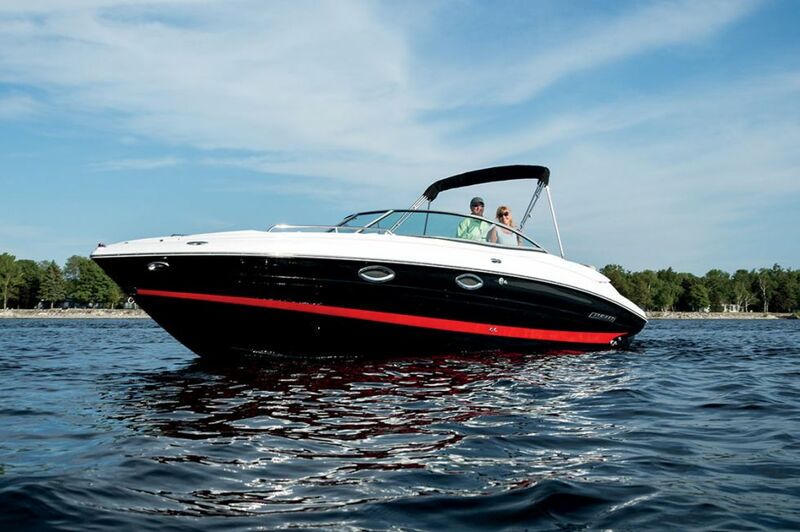 Spend more time on the water and less at the dock with the 279 Sport Cuddy, as it comes with a spacious head including shower, toilet and sink. 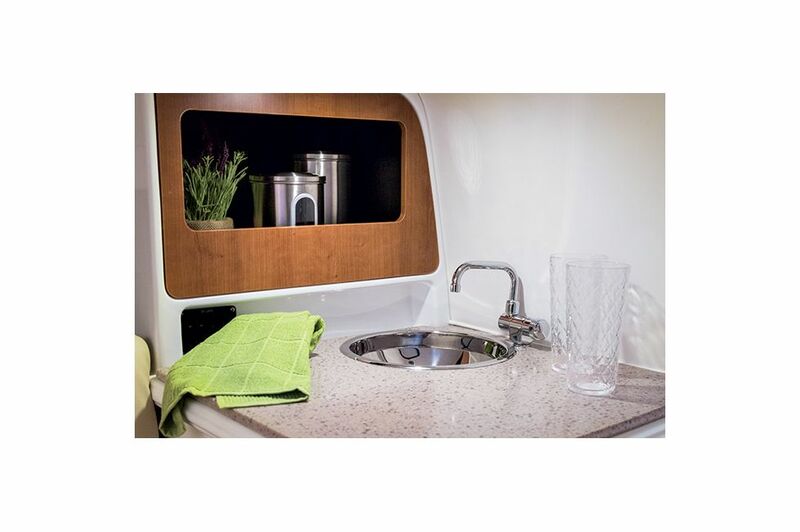 Entertaining is made easy and convenient with a below deck sink and cabinet combo. 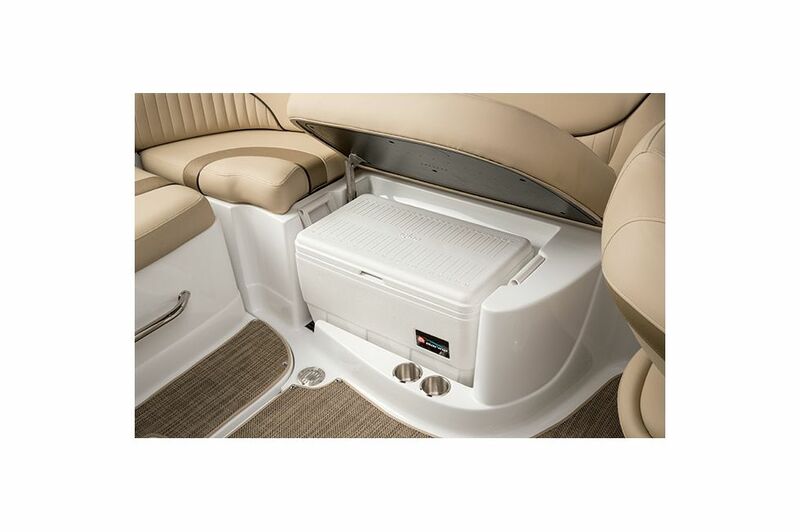 You never know what the day will bring, so gear up before you head out with the 279 Sport Cuddy's convenient underfloor storage compartment. Fuel up for more on-water fun with food or drinks from the concealed cooler storage area under the seating area!